There are roughly 69 million individual chemicals or chemical combinations used in the world today. Additionally, approximately 15,000 new chemical substances are submitted everyday. Who tracks all these chemicals? An organization called Chemical Abstract Society, or CAS. They assign the unique numbers used to track each substance. Just thinking about the vast number of chemicals out there is astounding, but what is really worrisome is that only less than 1% have been tested for safety. This is one reason out of many to look for products that have limited, common and quality ingredients on their labels. Just because they are loaded with ingredients doesn’t necessarily mean that they are all good. The simpler the better, in my opinion. When I first started making my personal care products, I didn’t do it to make money, I just wanted to know what was in the products I used. I began when there wasn’t even an internet, so as you can imagine, there was scant information out there as to what was on those labels. I found myself quite surprised to find that many of the products I used for years; I could make something similar, with just a few quality ingredients. So keep it simple and also, don’t be afraid to ask questions. Fortunately, most companies have customer service reps, who are there to answer your questions and inform you about those mystery ingredients. If you can, even better, buy from small companies where you can talk to the actual person who formulated the products. This way you can ask questions directly to the maker or person who formulated it. Please also keep in mind that natural ingredients are chemicals as well. Everything that exists is made up of chemicals, whether it’s natural or not. Therefore, there is no such thing as “chemical free”. If you see that on a label, you can pretty much bet that the company who made the product does not have a good handle on what the ingredients are in their product and just looking for a marketing pitch. It is important to familiarize yourself with useful ingredients and what their benefits are and also the potentially harmful ingredients. This will give you a strong foundation for making an educated decision as to whether you want to use that product or not. Because there are so many chemicals out there, I’m just going to narrow it down to a few of the most commonly used ones. Let’s start with fragrances and how to recognize what is a natural fragrance. When you are looking at a label and you see the word fragrance, please keep in mind that a natural plant extract can be listed as a fragrance, as well as a synthetic fragrance oil. And also that there may be a combination of natural and synthetic fragrance compounds in the formula. The word fragrance encompasses a vast range of substances. It is difficult to tell whether they are natural or not unless it is specifically stated. Some common terms used for natural fragrances are: wild-crafted, botanical extracts, tinctures, distillate waters, floral waters and of course essential oils. I tend to stay clear from any product that will list the term “fragrance or perfume” on their labels and look for those key words that will identify them as natural. Fragrances are still the number one cause of adverse reactions, primarily allergic reactions. Synthetic fragrances have very little benefits, as apposed to natural botanical extracts. Every substance has an odor be it good or bad. Synthetic fragrances are an inexpensive way manufacturers can mask an unpleasant scent, therefore making their product seem more esthetically pleasing. On the other hand, natural botanical extracts have many virtues including physical and emotional benefits. Essential oils have been considered the most therapeutic of all botanical extracts throughout the ages. They play a vital role in the plants biochemistry and are responsible for its scent and unique “fingerprint”. They are derived from an array of plant components including: bark, roots, peels, petals, grasses, leaves and seeds. They have many benefits, aside from their amazing aromas. They contain vitamins, hormones, antibiotics and antiseptics. Other established attributed uses include natural preservative, anti-inflammatory and a wide range of psycho-emotional support. Science has confirmed what has been known for centuries: essential oils have healing properties, both physically and emotionally. The art of using these essential oils is called aromatherapy. No, I’m not talking about Bath and Body works’ version of aromatherapy, where most of their products are synthetically fragranced. The true definition of aromatherapy is the use of essential oils for physical and emotional health and well being. is obtained from the blossoms, orange from the rind and fruit and petitgrain from the leaves. How are they absorbed in our body? Essential oils enter the body in two ways: through the nose and through the skin. Our noses are 10,000 times more sensitive than any other sensory organ we posses. Making it our most direct connection to our environment. We will talk more about inhaling potentially harmful ingredients later when we address phthalates. Absorption via the nose involves your olfactory system, which is your brain-nose association. Our sense of smell is linked directly to our limbic brain, where emotions, memory and certain regulatory functions are processed. You can experience a sense of deja-vu by remembering a familiar scent. For example smelling apples may remind you of playing in a nearby apple orchard as a child. Even leading psychotherapists today employ this bond between scent and memory in their therapies, by using specific scents to bring back childhood memories. Phthalates, pronounced “thah-lates”. Phthalates are found in an impressive array of common products. Just about any product made from PVC has them in to soften the plastic and prevent them from cracking and getting brittle. Phthalates are in everything from our electronics, personal care products, car products, toys (even modeling clays like play dough), insecticides, adhesives and plastic furniture. If you think it made of plastic, most likely it contains phthalates. An important thing to know is that they are not chemically bound to the plastics and therefore are continuously leaking into the air, food or liquid. This is why some plastics will become harder over time. Getting back to our aromatherapy, we found out that we can absorb substances through our noses. You know that smell you get when you open a new vinyl item like a shower curtain? You are inhaling phthalates. This is one way phthalates enter your body. So that is why many large plastic products will advise “airing” the item for a couple days before using it. -Look for products that are labeled “BPA FREE”. Also check out the recycling code, the ones labeled as “3” or “7” may have BPA in them. -Use alternative storage and cooking containers such as glass, porcelain or stainless steel. -Washing your baby’s hands before eating and especially after handling modeling clay or very soft toys could help reduce her exposure to phthalates. Another way that phthalates enter our bodies is from absorption via our personal care products. Phthalates are used to stabilize fragrances, increase spreadability and enhance absorption, therefore, they are found in many of our cosmetics. Examples are perfumes, creams, deodorants, powders, hair spray and even baby products. So, our skin can absorb these chemicals and then enter our bloodstream. 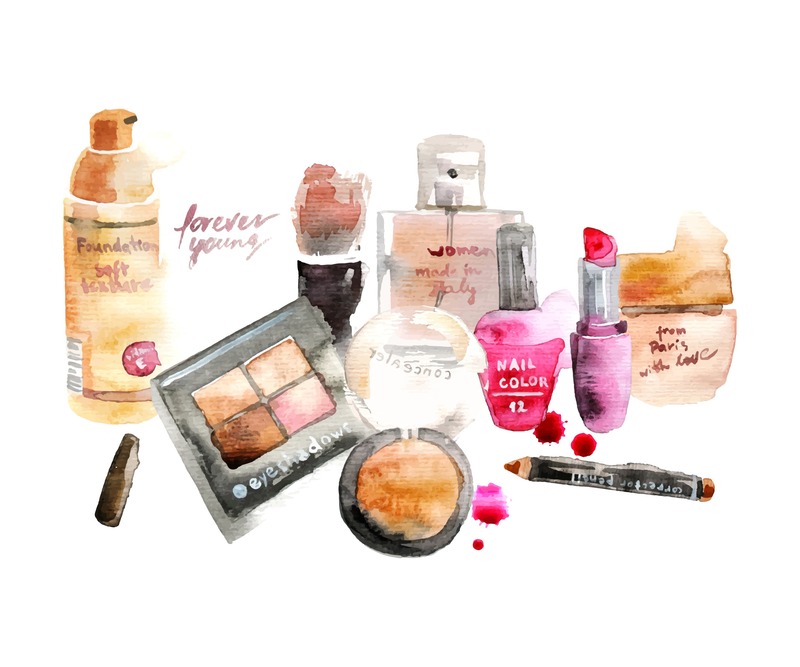 “In 2002, a coalition of public health and environmental groups tested 72 name-brand, off-the-shelf cosmetics for phthalates. They found that nearly three-quarters of the products contained the plasticizers. And when the CDC tested phthalate levels in humans, it found the highest levels in women of childbearing age, presumably because of their use of cosmetics. All that being said we should keep in mind that the Food and Drug Administration (FDA) has said that BPA is safe at the very low levels. This assessment is based on review of hundreds of studies. Also, that the FDA is continuing its review of BPA including supporting ongoing research. The question as to whether phthalates are dangerous is highly debated. I can tell you that many European countries have restricted the use of phthalates in plastics designed for use in food storage, baby products and cosmetics. And that In 2009 California enacted a ban that would resrtict products containing more than one-tenth of 1 percent of any six phthalates in all toys and child care products made for children younger than 3 years old. So there are actions being taken in the meantime while many more studies are being conducted and reviewed. Then why is there concern? In the 1990’s parabens were considered xenoestrogens- agents that mimic estrogens in the body. “Estrogen disruption” has been linked to breast cancer and reproductive issues. Most of the big fuss came about after a study in 2004 when a British cancer researcher, Philippa Darbre, Ph.D., found traces of parabens in 20 women who had breast tumors. Additionally, the study raised concerns over the cumulative affects of being stored in the body over time and if there was a link to breast cancer. Since then, cosmetic chemist have maintained that accumulation is not possible because they form metabolites that are incapable of mimicking estrogen. And also that only a small percentage remains as the original paraben. We must also keep in mind that the 2004 study was criticized because there were no noncancerous cells examined and that the presence of parabens in tumors does not prove that was the cause of the cancer. The U.S. Food and Drug Administration and the World Health Organization consider the chemicals safe at low levels. The FDA stated, “The FDA is aware that estrogenic activity in the body is associated with certain forms of breast cancer. Although parabens can act similarly to estrogen, they have been shown to have much less estrogenic activity than the body’s naturally occurring estrogen” . One point that seems in agreement with regards to phthalates and parabens is that there is still much research to be done and that many of these studies have been tested on animals, not humans. I tend to go back to my original mindset twenty years ago in that staying as close to nature as possible and keeping it simple will help me make educated decisions on what products I choose to use.